Part of the annual service will be to make sure that your brakes are functioning and performing effectively. We will also check the brake fluid to make sure that is at the right level. At Cadnam Garage Services in Cadnam, Southampton our mechanics will explain the problem with the brakes and point out the details of the fault where possible. Also, please note that your brakes are tested as part of the full MOT test. 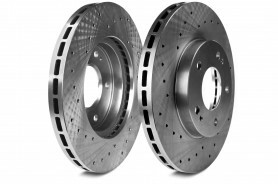 You do not want to spend hundreds of pounds on replacing the brakes on your car. Cadnam Garage Services only uses the best quality suppliers and will do everything possible to avoid making your manufacturer warranty invalid. While keeping the quality high, we want to give you competitive and affordable prices. Cadnam Garage Services wants to keep you on the road, offering a full range of brakes in Cadnam, Southampton. If you have any questions at all, please don’t hesitate to ask. We will be happy to help as much as we can.